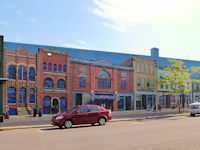 Heading east from Duluth, Mn on US 53, the first stop on the Wisconsin portion of the Lake Superior Circle Tour Route is just over the bridge in Superior, Wisconsin. Waterfall enthusiasts will want to take a short side trip south of Superior to visit Pattison State Park, a Wisconsin state campground with hiking trails and the state's highest water fall. 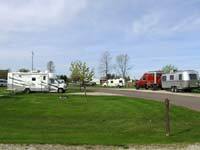 (Click here for directory to more campgrounds) Returing to Superior and US 53 and heading east, you'll intersect with Wisconsin highway 13, the preferred scenic route to the Bayfield Peninsula where several quaint villages are located along this route: Port Wing, Herbster, and Cornucopia, WI. 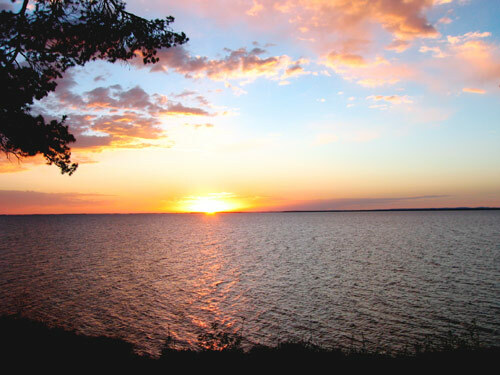 Shortly after "Cornie" there are two mainland visitor attractions of the Apostle Islands National Lakeshore: Meyers Beach, and Little Sand Bay. 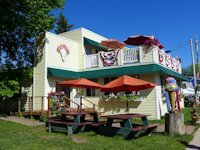 Eventually one reaches the Wisconsin crown jewel of the Lake Superior tour - the town of Bayfield with lots of things to see and do, and its sister village on nearby Madeline Island. 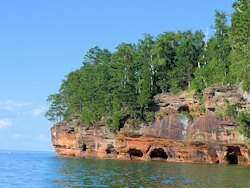 We found the Apostle Island Cruise a worthwhile scenic attraction and an affordable way to see the islands. 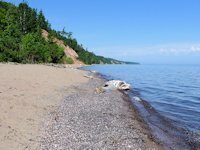 Beyond Bayfield, Wisconsin the Lake Superior tour offers several interesting Wisconsin attractions to discover. 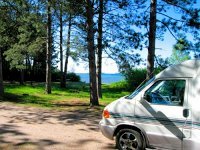 Among them are: some great lakeside campgrounds in Washburn, the Northern Great Lakes Visitor Center in Ashland, and the Bad River Lodge and Casino at Odanah along US highway 2. Travelers willing to make a little side trip detour south can find some worthwhile waterfalls and hiking opportunities at Morgan Falls/St. Peter's Dome, Copper Falls State Park, and Potato Falls. 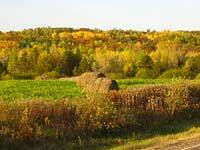 In the fall this is an especially worthwhile detour for scenic fall color. Returning to US highway 2 heading towards Hurley, take Wisconsin Highway 122 for a scenic drive along the lakeshore and see the impressive Superior Falls at the Wisconsin-Upper Peninsula border - best viewed from the Michigan side. 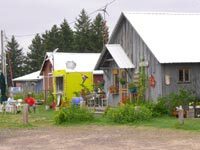 The Village of Cornucopia has some cute shops, an attractive beach, and offers tours of the Apostle Islands by boat or kayak. View of Madeline Island from Bayfield, Wisconsin. Waterfalls, hiking, picnic area, tent camping . Camp sites mostly rustic, but well spaced and layed out. Great hiking trails, pretty waterfalls, nice picnic areas, swimming beaches, and full service campground. On Lake Superior, for RVs and tents. Lake views, with some great tent sites right on the beach. Some electric sites. Dump station. Copper Falls State Park is near Mellen, Wisconsin. 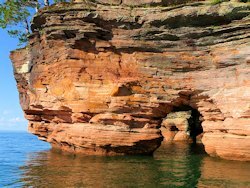 The Sea Caves of the Apostle Islands National Park are a major attraction. 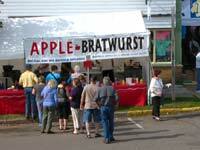 Bayfield Orchards - Fall Festival Time.